LTTE terrorists have triggered off a claymore mine targeting security forces' convoy of busses around 12.30 this afternoon (December 31). According to the available information the explosion has taken place close to the Kallai Aru Bridge on the Mannar-Madavachchiya road. Four security forces' personnel including three navy sailors and one army soldier have suffered injuries in the explosion. The injured have been rushed to the Anuradhapura hospital. Hospital sources say one victim is in critical condition. Defence official in Mannar said that the convoy of busses were carrying unarmed security forces personnel going on leave for the New Year. The Media Centre for National Security (MCNS) says that Sri Lanka Air Force have bombed a terrorists' training camp located in Mulaithiuvu this morning (December 31). The fighter jets launched from Katunayake air base have bombed the terrorist camp around 7.15.a.m, the sources added. The target has been identified as a training base which conducts both recruit and refresher training for the LTTE cadres. Air force says the target has been accurately hit. Rupavahini News Director T.M.G. Chandrasekara who was assaulted by the goons of Minister Mervyn Silva has been given two policemen for his security, Minister Anura Priyadarshana Yapa told Daily Mirror. The Security Forces have occupied the LTTE's Forward Defence Lines and surrounded the Wanni LTTE bases from all directions. The Army Chief said that the LTTE could not prevent losing their remaining 3000 cadres and there is no assurance that the LTTE Leader V. Prabhakaran would survive for the next six months as the Sri Lankan Air Force plans to attack all the LTTE bases. Therefore the three armed forces are confident of wiping out the LTTE, which is now smarting its wounds due to the present military operations. The Army Commander Lt. Gen. Sarath Fonseka is highly satisfied over the successes against the terrorists in the outgoing year and said that the prime target of the military was to destroy the LTTE's presence in the North completely. In an interview with the 'Sunday Observer' the Army Chief said that there are around 3000 LTTE terrorists remaining and that the military targets to annihilate them within the first six months of the next year. "Our daily target is to kill at least 10 LTTE terrorists and for the last few months over 500 LTTE carders have been killed by the armed forces. We have weakened the LTTE by 50 per cent or more and we are confident we can go that extra mile in the coming year", he said. He said the correct directives and the support given by the President and the Ministry of Defence had helped the military to achieve the set targets. " All the citizens are waiting to see an end to terrorism. The President very clearly announced his firm opinion about wiping out terrorism and bringing political solutions to address the problems of the Tamil people", Lt. Gen. Fonseka said. He said the military has come a long way defeating terrorism and the military operations in Wanni were 100 per cent successful. " The damage to the LTTE in Wanni is high and their major camps have already fallen", he said adding that now the outfit is facing a severe shortage of man power. "Bodies of the LTTE Police and the Sea Tigers seized by the armed forces show that the outfit is facing a severe shortage of man power and it is evident the out fit is in total disarray", he said. Meanwhile, over 8000 army deserters have reported back to the army. Lt. Gen. Fonseka said the Ministry of Defence and the Ministry of Foreign Affairs together work out to block the LTTE's gun running activities. Sri Lanka Air Force supersonic fighter jets pounded on LTTE strategic location in the Kilinochchi area this noon, December 28. Air sorties have launched around 12 noon and the target was the LTTE's coordinating centre for international activities located at Vishvamadu in Kilinochchi, a well identified LTTE strategic location through the series of ground and air surveillances conducted for long period, Air forces sources said. Sri Lanka Air Force raided this same place few months back on 18th April 2007. Kalaialagan, the 2nd In-Command of the LTTE's coordinating centre for international activities who was given a self-styled "Lt Colonel" rank has been killed due to this air raid. At least four LTTE terrorists were killed this evening (December 29) ahead of Northern defences at Muhamalai, SLA sources say.Troops launched a pre-emptive strike at LTTE bunker lines, at around 3p.m, according to sources.No damages were caused to own troops during the confrontation, military sources said. LTTE terrorists triggered off another claymore mine killing four people including a 12 year old at Vavuniya, within hours following the separate claymore attack took place this morning (December 27) at Kalavanchchikuddi, Batticaloa. According to Vavuniya Police, LTTE elements have detonated the mine targeting a paper distribution vehicle at Kurumankadu, along the Vavuniya- Mannar road, at around 2.p.m. An EPDP member (Wasanthan), the driver (Liyanage) and a Police constable (Rathnayake) were among the wounded, initial reports said. Latest reports from Vavuniya state, that total casualty figures have increased to seven. The innocent child killed was identified as Sivanadan Sujikaran, 12, at No: 36, 4th lane - Kurumankadu.Informed sources said, the vehicle was distributing a local Tamil news paper of EPDP. The news paper has been severely criticizing LTTE's tribal ideologies and serving a news window to Tamils in the area. The injured were rushed to the general hospital at Vavuniya, Police said. Meantime, the slain EPDP members were identified as Kandan, Saravanan and Regie. Minutes ago one MSD guard of Mervyn Silva was handcuffed and taken away by police. Mervyn Silva is yet to come out of the chairman’s room. Non-Cabinet Media Minister, Lakshman Yapa was seen pleading with the staff of Rupavahini to let the police take Mervyn Silva out of the building. Yapa upon entering the scene condemned the assault on the News Director by the minister. Meanwhile the staff had brutally beaten the MSD guard of Mervyn. After the tense situation following the assault on the News Director, Mervyn Silva has taken refuge in the Chairman’s room, sources informed. The infuriated staff has surrounded the room and threatened to cause harm if the minister steps out of the room. The police are trying to infiltrate the chairman’s room but the staff has prevented the police from entering. Minister Mervyn Silva was at it again, this time assaulting the News Director of the state owned Rupavahini Corporation a short while ago for not carrying a news item. A tense situation has developed following the incident at the Rupavahini Corporation. SLAF super sonic MiG-27 and K'Fir combat fighters made dashing sorties this morning (December 27) at a major LTTE facility at Vellamullavaikkal, North of Mulaithivu, at around 6.10 a.m.
Air force fighter pilots have acquired the target successfully destroying the LTTE facility during the precision aerial sorties, Air force sources said. According to sources, the aerial raid was launched following ground surveillance and real time air reconnaissance information. Defence sources citing reliable 'intel' said, LTTE were conducting a special training session at the facility which was continuously functioning since 2001. Defence sources said, the target was kept under constant reconnaissance, which was located northwards along the coast of Mulaithivu. LTTE has been conducting multi-pronged war exercises at the facility when it was hit, by the SLAF jets. Sri Lanka navy sources today (December 27) stated that the Ceylon Dockyard built Fast Attack Craft (FAC) P413 sank whilst being towed to Kankasanthurai Harbour. The craft was seriously damaged during the sea battle erupted in the South of Delft sea yesterday (December 26). Navy's diving and salvage unit is now being engaged in a salvage attempt, sources added. P413 crew commanded by Lieutenant Commander Lalith Ekanayake yesterday demonstrated the sheer determination and gallantry possessed by the sea warriors of Navy's Fourth Fast Attack Craft Flotilla by destroying two explosive laden suicide craft of LTTE. Having detected the terrorist's sea move P413 along with other FACs valiantly engaged the terrorist boats despite being heavily out numbered by the enemy. Lieutenant Commander Ekanayke made the ultimate sacrifice for the motherland while eleven of his men have gone missing in action. LTTE elements triggered off a byroad claymore mine this morning (December 27) laid in close perimeters of Kalavanchchikuddi general hospital injuring two including a 15 year old, Kalavanchchikuddi Police said.The claymore mine was tripped to a bicycle and triggered targeting a combine Police/STF route clearing patrol, along the Kalavanchchikuddi-Kalmunai main road at around 7.50a.m, Police sources said. One Special Task Force (STF) constable was killed while another received minor injuries, during the incident. Security forces immediately cordoned off the area while assisting innocent civilians and patients, who were traumatized due to the claymore explosion. Troops forced into LTTE territory thrashing terrorist bunker lines and defences during a pre-emptive strike at Pallaikuli, south of Adampan killing 15 and seriously injuring over dozen terrorists, SLA sources said. Ground clashes broke into a fierce artillery duel between troops and LTTE since 6.40a.m, today lasting until 12 noon. Terrorist resistance faded during intense fighting where reports were received of a mass LTTE flight into non-liberated areas in Kilinochchi and Mulaithiuvu Districts, defence sources said. Meanwhile, security forces have destroyed six LTTE bunkers in the strategic military advance, defences sources added.Two soldiers made their ultimate sacrifice, while 12 others wounded were admitted to the general hospital at Mannar, security sources said. SL security forces have stepped-up strikes at defences of the LTTE run mono ethnic hell hole in the Island's North, in response to the plea of thousands stranded, under worsening 'humanitarian' conditions, defence observers state. Sri Lanka Army yesterday (December 24) continued to pound on the Defences of the LTTE run mono ethnic hell hole in the Island's North causing heavy damages to the terrorists. Reports from the Northern battlefronts indicate that at least 14 terrorists were killed in the yesterday clashes along the Wanni and Jaffna Forward Defence Lines (FDLs) during last 24 hours. Further, 5 soldiers were injured in the yesterday's battles and now are being treated at Vavuniya and Anuradhapura hospitals. Troops operating along the Wanni FDL, confronted with the terrorists at several occasions both on the Vavuniya and Mannar fronts.On the Vavuniya front, troops clashed with LTTE terrorists at Pokkaravani, Kandaperumakulama, Navatkulama areas killing 10 terrorists including two LTTE regional leaders. At Pokkaravani, clashes broke out as the terrorists launched heavy artillery and mortar attack at the security forces' defence line around 11.15, last morning. 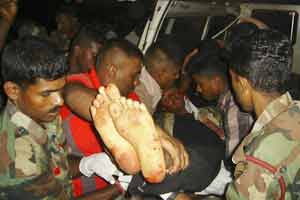 Two soldiers suffered serious injuries due to shelling and were admitted to Anuradhapura Military Hospital. Troops having located the LTTE gun positions responded with artillery fire until the terrorists ceased the shelling. Monitored LTTE radio transmissions have revealed that two terrorists' leaders were killed in the incident. Again in the Pokkaravani area three soldiers sustained injuries as a trapped mine exploded around 4.40 on the same day evening. The soldiers were immediately evacuated to the field hospital at Vavuniya. At Kandaperumakulama, troops ambushed LTTE infiltrators at two occasions killing six LTTE cadres last evening. In the first incident that took place around 3.30.p.m, ground troops claimed that two terrorists were killed and in the second that took place around 4.30.p.m, the same sources said that four LTTE cadres were killed. Troops suffered no own casualties in either of the incidents, the sources added. Sri Lanka security forces continue to beat in terrorists' defences of Wanni causing heavy damages to LTTE. As per the latest reports from the battlefronts troops had dislodged 6 LTTE bunkers and killed over 28 terrorists in yesterday's (December 23) clashes. In the Jaffna theatre of battle, troops deployed at Ponnar on the Kilaly front, attacked LTTE bunker line around 6.15 last evening. Ground troops have claimed that three terrorists were killed and two bunkers destroyed in the incident. No casualties reported to own troops.On the Muhamalai front, SL army soldiers manning the defence line opened fire at a group of LTTE terrorists stalking towards the own defence. Ground troops confirmed that one LTTE cadre was killed in the incident that took place around 11.45 a.m. Earlier on the same day morning, army claimed that eight terrorists were killed and four LTTE bunkers destroyed when troops attacked LTTE bunker line at Nagarkovil.Meanwhile, Sri Lanka navy sailors uncovered four suicide belts and a military pack at 12.p.m. yesterday. The sailors acting on information provided by the civilians made this recovery at Velani, in the Kaytes Island.In the Wanni theatre of battle, troops moving ahead from the Vavuniya front attacked an LTTE stronghold in the Vilathikulama area around 9.40, last morning. Troops having located the terrorists' gun and radar positions called in artillery fire on the same. Also, the terrorists responded using heavy mortars. Army radio monitoring elements have revealed that three terrorist were killed and 10 others were injured in the incident. One soldier was also killed and nine sustained injuries in the same incident. At Kuduruvitankulama, troops laid an ambush at terrorists' movement around 2.15, last afternoon. Monitored radio transmissions have revealed that two terrorist were killed and one injured in the incident. No casualties reported to own troops.At Kallikkulama, troops confronted with a group of LTTE cadres around 2 on the same day afternoon. Ground troops claimed that three terrorists were killed in the incident.Meanwhile, four soldiers suffered injuries due to anti personnel mine explosions occurred in Thampanai and Kuduruvitankulama area during yesterday's clearing operations. The injured were admitted to Anuradhapura hospital. In the Mannar theatre of battle, troops confronted with LTTE terrorists at three separate incidents. Reports indicate that eight terrorists and one soldier were killed in the incidents that occurred in the Narikkulama, Palaikkuli, and Tettakkuli areas yesterday. The Jathika Hela Urumaya organized series of religious observations in Anuradhapura to observe the fourth death anniversary of Ven. 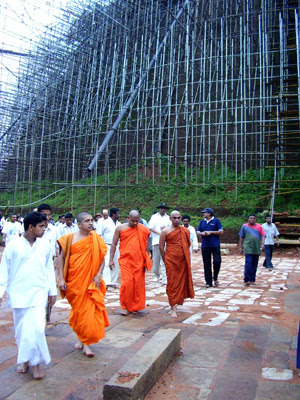 Gangodawila Soma thera. The JHU team is seen at the Abhayagiriya after donating a machine to carry bricks to the top of the stupa to help renovation work. The Badulla - Kandy road made impassable due to a minor landslide causing heavy damages to the Malaoya Bridge. Road users are advised to take alternative routes via Hunnasgiriya and Walapane. Torrential rain during the weekend has caused havoc in six districts - Amapara, Matale, Anurdhapura, Polonaruwa and Batticloa with over 6211 families displaced and some110 houses completely destroyed. Two persons have been arrested by Dambulla Police for looting shops during floods. The floods caused extensive damage to the area and the hospital was shifted as a result. During yesterday's military advance into non-liberated territory ahead of Wanni defences, security forces overran what was identified to be LTTE's 'VIETNAM Base' located at general area Periyapunichankulama, security sources said.Security forces met with minimum resistance during the advance as demoralized terrorists were on the flight with acute shortage of will and man power, defence sources said. The LTTE strategic base stretching approximately 400m and 300m in breath consists with 18 to 20 overhead bunkers, ground sources said. Eight to ten cadjan roofed huts and a kitchen were inside the terrorist camp. Troops also located a 150m long tunnel (2 m width and 2 m height) forming a clandestine exit route from the camp. "Few chairs were also found inside a building and the word "VIETNAM" was written on them", military reported citing field sources. Sri Lankan security forces launched an attack yesterday (22) at identified LTTE positions ahead of Kilali forward defences in Jaffna, killing two terrorists, security sources said.In the attack resumed at 5.45p.m, two LTTE bunkers under construction were also destroyed the sources added.Meanwhile, according to troops manning defences at Kokkuthuduvai in Welioya, a terrorist was killed while attempting to breach the FDLs at around 5.30p.m. No damages were caused to own troops during the confrontations, security sources said.Also during a search and clearing operations conducted yesterday at general areas Periyathampanai South and Umayarattuvarankulam Vavuniya troops defused 101 anti-personnel (AP) mines, military sources report. A Police sergeant was shot dead by alleged LTTE gunmen at the Mannar main bus stand, yesterday (December 22) at 7.30 p.m.According to Mannar Police sources, the Police Sergeant on duty has moved forward from the police post to inquire two individuals with suspicious behaviour. While, their whereabouts were been noted a suspect has reached for a hidden pistol and shot at the sergeant and fled the scene instantly. Sergeant Udayananda received headshot injuries and succumbed in moments, Mannar Police sources said. Sergeant Sirisenage Udayanada, 44, averted a major catastrophe in a densely populated area in his gallant effort while performing duties, defence sources noted. Defence sources believe that, LTTE terrorists imminent of their eviction from Mannar and Wanni battle theatre is attempting to cause calamity targeting innocent civilians, committing security forces to neutralize its advances. Troops engaged heavy mortar and artillery barrages ahead of Nagarkovil defences this morning (December 23) destroying 04 LTTE bunkers and killing at least 08 terrorists, Jaffna military sources report.The strikes were initiated as a pre-emptive measure on receiving 'intel' information of an LTTE offensive advance towards the Army defences, around 5.15 a.m. security sources said.According to ground troops, no damages were caused to own troops. The Crown Prosecution Service of Britain is looking to charge the controversial former LTTE leader, Karuna Amman of war crimes, torture and hostage-taking, it is reported. Karuna Amman, whose defection was the biggest split that the LTTE has suffered, was arrested in Britain last month on suspicion of immigration offences. He led the LTTE in the East until March 2003, when he left the terrorist organization and formed his own group, the Tamil Makkal Viduthalai Pulikal (TMVP). The TMVP has since split with Pilliyan taking over the leadership after Karuna left the island. Holding talks with the Tigers' shadowy leader would be a blunder and there will be no peace unless he is killed, Sri Lankan militant-turned-minister Douglas Devananda has warned.Social Services and Welfare Minister Devananda, who is vehemently opposed to the Tigers, says he has escaped more than a dozen assassination attempts. The last was on November 28, when a female bomber officials say was sent by Tiger leader Velupillai Prabhakaran made her way into his ministry in central Colombo.Devananda was watching closed-circuit TV footage of visitors in the ministry's offices and hallways when the woman blew herself up, killing one of his aides. "Prabhakaran ... is anti-human," Devananda told Sri Lanka's Foreign Correspondent's Association late on Thursday, after showing journalists a recording of the attack. "You have to compare (him) with Pol Pot or Hitler ... He has to die. ""As long as Prabhakaran is alive, he won't allow anyone to solve the problem (conflict) amicably," he added. "If the President goes again for talks, it's a blunder." Prabhakaran is infamous for his use of suicide attackers as part of his campaign to create a separate state in the island's North and East.Devananda himself took up arms against the state with other militant groups in the late 1970s and 1980s. He remains at the top of the Tigers' hit list. "I have the right to be the chief minister of the North and East," Devananda said.He also wants the Government and other political parties to decentralise power to provincial councils, rather than wait for divided parties to try to reach an elusive consensus on devolution. "The Tamil people have grievances. They should be dealt with with a political package," he said.Devananda, who adopted the alias Douglas because it was his karate teacher's name, laughs as he recalls a series of attempts on his life. He was once forced to dive into the Palk Strait separating Sri Lanka from India in 1996 to escape a Tiger attack and spent the whole night in the sea. The minister, who founded the militant Eelam People's Revolutionary Front (EPRLF), which later morphed into his political party, has no regrets about his own violent past. 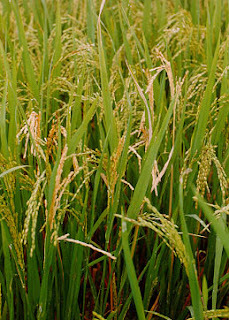 Troops yesterday (December 21) defused 198 anti-personnel (AP) mines and six booby traps during a search and clearing operation conducted at general area Nedunkulam in Vavuniya, MCNS reported.Meanwhile, security sources report that a soldier has received injuries due to an LTTE mortar attack at general area Parikariperiyakulam, yesterday at 6.30p.m. Six terrorists were killed said security forces, during a SLA launched attack at an LTTE bunker construction site yesterday (December 21) at general area Palamoddai in Mannar.According to security sources, no damages were caused to own troops during the assault at around 6.15p.m.Meanwhile, troops acting on civilian information in Shanthipuram, Mannar yesterday (21) found 38 non-electrical detonators, security sources said. Suspected LTTE gunmen had killed two Tamil civilians in Jaffna and Batticaloa on Friday (December 21) said the police sources.Former UNP candidate for Provincial Council Election in Jaffna, year 2001 was killed by motorbike riding gunmen at Chulipuram, Jaffna around 5 last evening. The victim identified as Muthukumaran Sivapalan was a resident of Central Chullipuram, in Vaddukoddai. Civilian sources said that the victim was also a well known businessman and a political activist who used to condemn terrorism of LTTE at open forums. Meanwhile, a Tamil youth identified as Ramachandran Navaratna was killed by suspected LTTE gunmen at Thalavi, Batticaloa around 8 last night. It is suspected that the youth was killed as he had repeatedly refused to involve with LTTE activities in the area. Two terrorists were killed when the Army troops attacked an LTTE bunker at Muhamalai, Jaffna around 2.30 p.m. today (21). In the morning around 10.00 Army troops destroyed an LTTE bunker at Muhamalai and caused heavy damages to terrorists. Army troops were unharmed in the two confrontations. Acting on reliable intelligence, the Air Force carried out a successful air strike targeting the leader of the LTTE, Velupillai Prabhakaran on 26th November 2007. Intelligence sources confirmed that Velupillai Prabhakaran had sustained injuries in the air strikes carried out by four attack aircraft of the Sri Lanka Air Force on a bunker complex in Jayanthinagar, Kilinochchi around 5.25 p.m. on 26th November 2007. Intelligence had confirmed that the bunker complex was frequented by the LTTE leader, Velupillai Prabhakaran. Attack aircraft of the Air Force carried out another air strike on the same target on 28th November 2007. The Air Force confirms that the target was successfully destroyed amidst heavy LTTE ground to air fire towards the Sri Lanka Air Force aircraft. Subsequent to the attack, the Air Force monitored movements around the target trying to clear the debris. Though the Air Force believed that Velupillai Prabhakaran had been hit in this attack, non availability of ground information to confirm such at that time prevented the Government from releasing this information to the media. The Indian Air Force (IAF) is planning a series of exercises in the southern part of the country next year, along the lines of the path breaking exercise 'Dakshin Prahar,' conducted just last week. According to IAF officials, the Thiruvananthapuram-based Southern Air Command is now in the process of validating concepts that were tested during ex-Dakshin Prahar. These would come in useful for the future, they said. According to reports, IAF officials say that the southern region of the country had failed to receive the same level of focus that other parts of the country had. The situation in this part of the region is changing rapidly.In the case of the LTTE, this may involve only propeller driven aircraft. In the case of the Sri Lankan Air Force an expanded force of MiG-27's and more capable helicopters is being backed up by an increasingly sophisticated radar and surveillance system that has dealt some debilitating blows to the LTTE. For India all these developments are a matter of concern as it has important port facilities located in the region as well as sensitive nuclear facilities. Static facilities of strategic importance apart, the region has been experiencing a thriving guerrilla war in Sri Lanka. A mine placed outside the perimeter of the Ratmalana air port accidentally exploded this morning but caused no damaged or injuries. LTTE exploded claymore mine targeting the Trincomalee - Colombo mail train, 1 KM away from Kantale railway station , around 8.45 p.m yesterday.According to Military spokesperson explosion had hit the engine of the train causing damages which was plying from Trincomalee to Colombo. The night mail train usually travels with full of passengers however though the bomb explosion reverberated to more than 5 KM, no passengers were reported to be injured. 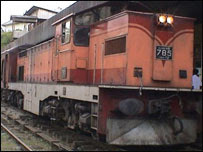 Police said the engine of the train had been damaged in the blast and no reported injuries. Six LTTE terrorists were killed in two separate pre-emptive attacks launched by the security forces in Jaffna defences this morning, December 18, sources in Jaffna said.An LTTE bunker was destroyed killing 3 LTTE terrorists when the troops confronted with the enemy ahead of the security forces defence line at Nagarakovil in Jaffna. Meanwhile, 3 LTTE terrorists were killed in another confrontation erupted at Muhamalai in Jaffna around 10.40 this morning, defence sources further added. On information received from the civilians, security forces who were conducting a search operation uncovered a micro pistol from Manalkadu area in Point Pedro in early hours today, December 18.The recovery was made at 5.45 a.m and a micro pistol and its magazine had been buried in an abandoned land in the area, defence sources in Jaffna said. Nineteen LTTE terrorists were killed and 13 were injured during clashes erupted at Jaffna and Mannar defences this morning, December 17, defence sources said.In four separate incidents reported in Mannar defences, at least 12 LTTE terrorists were killed while 9 were injured sources in Mannar said. Troops on foot patrol confronted with a group of LTTE terrorists at North of Uilankulam in Mannar around 9.30 a.m today. Ground troops said four LTTE cadres were killed while 5 others were injured in this clash.Meanwhile 2 LTTE cadres were killed in a confrontation erupted at North of Neelachchanai in Mannar around 9.35 a.m. today, defence sources added. On information received from the civilian sources, security forces uncovered a T-56 weapon and some other warlike items from Madukarai in Mannar testerday, December 17.According to the available information the recovery was made around 12 noon and 60 T-56 ammunition, 2 magazines, 2 detonators and 1M length detonator code were also among the recoveries. Against the backdrop of enhanced threat perception emanating to India's security from its vast southern coastline and sea borne intrusions, the Indian Armed Forces are planning a series of joint exercises next year in the southern peninsula. "This is for the first time that the country's military planners are focusing on threats to the country from the southern peninsula," defence sources told the Times of India. Frontline fighter aircraft of the Indian Air Force, along with warships from the Navy and coastguard, and Army formations dedicated to sea borne assaults would be engaged in these exercises designed to ensure safety of vital sea lanes. The war games have also been planned to deal with threats of intrusions from air and sea lanes by terrorist groups and to deal with sea hijackings, the sources said. Though the Armed Forces had earlier repeatedly sought to play down possible threats from the LTTE for their acquisition of air assets, the series of joint military exercises are planned to cope with such attacks, the sources said. Ten terrorists were killed yesterday(16) at Jaffna and Vavuniya defences, as security forces continued to pound LTTE bunker positions, security sources said.During a pre-emptive strike launched at LTTE positions ahead of Muhamalai FDLs at around 6.10p.m, troops destroyed an LTTE bunker killing three terrorists, Northern military sources report. At Vilathikulam in Vavuniya, SLA repulsed two successive LTTE offensive bids killing at least seven terrorists in heavy resistance attacks, yesterday evening security sources said.According to ground sources, no damages were cause to own forces. Expressing concern over reports of increasing activities of the LTTE in Tamil Nadu, Congress leader and Union Minister E. V. K. S. Elangovan asked the State Government to be vigilant and take action against political leaders expressing support to the banned outfit. Referring to the reported speech of Viduthalai Chiruthaigal (VC) President Thol Tirumavalavan, an ally of the ruling DMK, in support of the LTTE, he told reporters that the Government should take action against him if there was prima facie evidence. He also recalled the State DGP's notice last month, announcing a ban on taking out processions, holding public meetings or condolence meetings in support of the LTTE. Citing reports about the recent arrest of two LTTE cadres in the state, Elangovan said the State Government should be on high alert and take measures to check the activities of the banned outfit. Pointing out to the release of VC leader Vanniyarasu on bail the same day he was arrested on the charge of supplying computer spare parts to the LTTE, Elangovan cautioned that such incidents would disturb peace in Tamil Nadu. Earlier, speaking at a diploma awarding ceremony for Sri Lankan journalists, organised by the city-based SRM university, Elangovan said the ethnic crisis in Sri Lanka could be amicably resolved, but some people in Tamil Nadu were politicising the issue. A rehearsal carried out by air force created panic in Watala with people in the area getting alarmed after seeing two planes flying with lights off a short while ago. Residents in the area said there was a power cut soon after the flights were sighted. The Air Traffic Control unit of the Katunayake airport confirmed that that it was a rehearsal. Susantha Punchinilame, Minister of Nation Building and Eastern Development said Rs. 8,000 million has been allocated to develop the Eastern Province from this year's budget and of Rs. 2100 million has been allocated to the Ministry of Nation Building at a press conference held at Ratnapura. He said Rs. 8,000 million will be invested to develop Ampara, Trincomalee, Batticaloa and Mullaitivu districts which have 50 divisional secretariat areas including 1208 rural villages and an area of 11514 square kilo metres. The people living in this areas will be benefited with their basic needs and their living standard will be upgraded. State income will be increased and a population of 1,819,555 will be granted with facilities in the year 2008. Japanese Prime Minister Yasao Fukuda said Japan would always reject terrorism and his Government would take every possible step to stop terror acts.He made these observations when he met President Mahinda Rajapaksa at the Prime Minister's Office in Tokyo on Monday night. Addressing a joint news conference at the Prime Minister's Office, the 71-year-old Japanese leader said his Government condemns all forms of terrorism and would take every possible action to eradicate terrorism.He expressed confidence in Sri Lanka's efforts to achieve peace and assured the Japanese Government's fullest support and cooperation to President Rajapaksa's peace efforts. "I conveyed to the President, Japan's intention to cooperate for peace in Sri Lanka as well as economic development," Fukuda told the media.The Japanese Government increased assistance to Sri Lanka under the Overseas Development Assistance (ODA) programme from US$ 320 to $ 400 million per year. Prime Minister Fukuda is no stranger to Sri Lanka as he was the former President of the Japan-Sri Lanka Friendship Association. He held that position for several years before stepping down on his election as Japan's Prime Minister last September. housands of Tamils and Muslims are flocking to Batticaloa town today (December 10) with slogans and banners condemning alleged LTTE, TNA coalition's obstruction of resettlement and development work, in a demonstration organized by the Thamil Makkal Viduthalai Pulikal (TMVP), reports our Eastern Area defence correspondent. Latest reports said that an estimated crowd over 9000 participated in the event to stage their strong protest against the self-claimed Tamil representatives. People were seen coming in from all parts of the recently liberated Eastern Province to stage a mass protest against the LTTE - TNA axis, said defence sources observing the activities. According to available information many Tamil and Muslim civilians from Kallady, Chenkallady and Valachchenai and many other areas are making their way towards Batticaloa, where the demonstrators are expected to hand over a memorandum to the Batticaloa GA, to be forwarded to H.E the President. News reports from India reveal a senior LTTE cadre and two others who had tried to buy a boat for the use of LTTE terrorists were arrested by the Police in Chennai, India on Saturday (December 8). The reports further say that Sri Lankan currency worth Rs. 478,000/= that found with the suspects was also seized by the police. According to a press release by the Q branch police in Chennai, a boat which had been kept ready at coastal Mallipattinam in Thanjavur district to be sent to the LTTE was also seized. The news reports further said that police personnel had spotted the suspected trio at the parking lot of Anna International airport terminal on Saturday night. Police had identified Jayakumar alias Gowrishankar, as senior LTTE cadre attached to the seaborne wing of the terrorists outfit. The suspect was said to have actively engaged in the terrorists activities, between 1995 and 2005. The other two suspects were identified as James alias Raja, another Sri Lankan national and Ravikumar, a resident in Chennai. President Mahinda Rajapaksa, will leave for Japan for a 4-day official visit Today (December 8, 2007).During his stay in Japan, the President and Madam Shiranthi Rajapaksa will make a State Call on Their Majesty the Emperor Akihito and Empress Michiko. The President will also hold a meeting with Mr. Yasuo Fukuda, Prime Minister of Japan. The Ceylon Electricity Board says a technical fault at the Kelanitissa power plant is the cause for the islandwide blackout since early this morning. Defence spokesman Minister Keheliya Rambukwella told parliament today concluding the debate on the Defence Ministry budget allocation, that Kilinochchi is within sight and they would pursue the target towards eradication of terrorism. LTTE terrorists carried out another cowardly attack at the civilians by targeting a civilian bus plying from Anuradhapura to Jankapura this evening. According to the available information the terrorists have detonated a roadside bomb around 8.15p.m at Abhimanpura, on the Kebithigollawa - Padaviya road. At least 15 civilians have been killed and 23 others injured as the fully packed bus was deliberately targeted by the terrorists. Correct deaths and casualty figures are yet be known. Soldiers & civilians carry a victim of the land mine explosion to emergency room in Anuradapura, hospital about 200 kilometers northeast of Colombo, Sri Lanka on Wednesday, Dec 5, 2007. A land mine explosion blamed on Tamil separatists tore through a passenger bus crowded with civilians in northern Sri Lanka on Wednesday night, killing at least 15 people and wounding 23 others, the military said. A group of English cricket fans viewing the match at the Asgiriya cricket stadium suffered cuts and bruises when the tin roofing sheets above their heads collapsed following strong winds. Picture shows a police officer inspecting some of the injuries. Health workers yesterday defied a Court order against their proposed trade union action and went ahead with their planned two-day sick note campaign yesterday. The Colombo District Court on Monday issued an order barring the Health Services Trade Union Joint Front (HSTUJF) and 14 other health sector trade unions from going ahead with their sick note campaign on Tuesday and Wednesday. President Mahinda Rajapaksa, who met union representatives on Monday evening, instructed the Health Ministry to immediately pay overtime and holiday pay to paramedical staff irrespective of the attendance registration through the finger print machine. HSTUJF Convener Gamini Kumarasinghe told The Island that two union members, both minor employees, attached to the Colombo National hospital, were arrested by the Maradana police yesterday morning. He alleged they were arrested on the verbal request of the Health Minister’s National Hospital Organiser on the recommendation of the Minister. But, police said, they were obstructing those who reported for duty. At least four terrorists were seriously injured say, defence sources today (December 04) when troops confronted an LTTE group 30 kilometres north of Yala at 5.10 p.m. According to sources, troops have confronted with a LTTE group while conducting search operations in the area. Security in the area has been tightened assisting the ongoing search operations, security sources further said.Latest reports say, security forces are on the trail of the fleeing terrorists. Meanwhile, a soldier was reported injured during the confrontation. Sanath Jayasuriya, the ‘Master Blaster’ who almost single-handedly changed the character of the one-day format of cricket and who has been one of the most consistent performers with bat and ball for Sri Lanka over the past 15 years, announced that the Kandy Test against England will be his land. "I will be retiring from Tests after this match," Jayasuriya confirmed to a television channel covering the series. "I wanted to end my Test career in Sri Lanka, particularly in Kandy. I will continue playing one-day internationals." Jayasuriya said that it was the right time to retire: “There are some young guys coming up, and I wanted to go while on top. Life without cricket will be tough, but I will still be playing one-day cricket and contributing to the team." Jayasuriya played 109 tests, scoring 6885 runs including 14 centuries and 30 fifties at an average of 40.02 and 403 one-day internationals, scoring 12,207 runs (25 centuries and 64 fifties) at an average of 32.63 and a blistering strike rate of 90.40. He has also bagged 97 test wickets and 307 in one-day internationals, making him one of the greatest allrounders seen in both forms of the game. 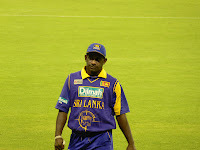 He has been a brilliant fielder and has been one of the most successful captains in Sri Lanka’s cricketing history. 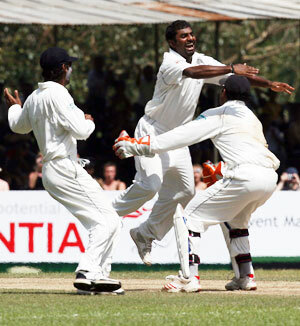 President Mahinda Rajapaksa offered his congratulations Muttiah Muralidharan on breaking Shane Warne’s record for the highest number of test wickets. In his message to Muralitharan, the President said: “Congratulations to you on establishing the new record for the highest number of wickets taken in Test Cricket. Your achievement makes Sri Lanka proud and brings new glory to Sri Lankan Cricket. Sri Lanka’s spin wizard, Muttiah Muralitharan became the highest wicket-taker in test cricket this morning when he bowled Paul Collinwood for 45 on the third day of the first test between Sri Lanka and England at Asgiriya. Braking Shane Warne’s 708 wicket record. 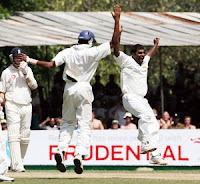 Murali got 709 wickets in his 116th Test while Warne played 145 matches to get his 708. 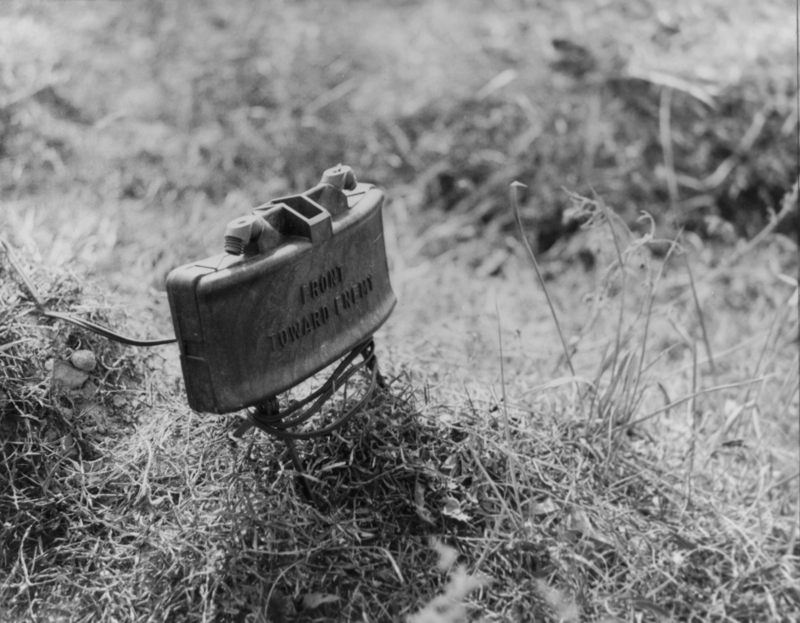 The Airforce has found a claymore mine near Summit Flats close to TNA MP Sivajilingham's house. The Air Force Commander's residence is also in close proximity. The sources said, that the bomb is an improvised explosive device made out of C-4 high explosives, and also contained large amount of tiny steel balls. The weight of the bomb is about 1.5 Kg, the sources added. Summit residencies are situated in the High Security Zone, Colombo. The civilians in the area have informed the police with regard to an unattended parcel appeared opposite the TNA parliamentarian's house this morning. The Air Force BD team has defused the bomb which had been made to trigger off by an electrical detonator. Convener of the Civil Monitoring Commission on Disappearances and Extra Judicial Killings and Leader of the Western People's Front MP Mano Ganeshan is to complain to the foreign missions in Colombo on what he called indiscriminate arrest of Tamils in the country including women with children, during the cordon and search operations carried out in the last few days. Schools in the Western Province will be reopened for academic activities Today after being closed for two days due to security concerns triggered by the Nugegoda bomb attack last Wednesday. The Education Ministry said that the interrupted year end exams will continue from Today. SES provided by computer training team. The government is planning to stop the import of 23 food crops by 2010, by improving their production here Agricultural Development Minister Maithripala Sirisena says. Among these food crops are paddy, green gram and Cowpea. In a letter to Louise Arbour, Sri Lanka's minister in charge of the subject Mahinda Samarasinghe says he is 'puzzled' as his government is 'taking definite steps' to address the issues raised by Arbour. In an exclusive interview with BBC Sandeshaya from Afghanistan, Louise Arbour, said Sri Lanka lacked a 'credible voice' on rights violations as the national Human Rights Commission (SLHRC) was appointed unconstitutionally. The British Foreign office has revised its travel advisory on Sri Lanka following the twin bombings this week, says there is "high threat from terrorism". We advise against all travel to the north or east of Sri Lanka. For the purpose of this travel advice we consider the north to be all areas north of the A12 road (which runs from Puttalam in the west to Trincomalee in the east) including the Jaffna peninsula and the east to be the districts of Trincomalee and Batticaloa, as well as coastal areas of Ampara district north of Pottuvil and east of the A25 and A27 roads. We advise against all travel to Yala National Park. Since October 2007 there have been a number of incidents there and it is currently closed due to security concerns. See the Terrorism and Local Travel sections of this advice for more details. There is a high threat from terrorism. Attacks can be indiscriminate, and have occurred in places frequented by expatriates and foreign travellers. On 28 November 2007, there was a bomb attack in central Colombo targeting a government Minister, and another attack on the outskirts of Colombo that killed at least 16 and injured a number of civilians. There is heightened security in Sri Lanka and you are advised to comply with government and security force instructions. There have been detentions particularly of people of Tamil ethnicity. You should ensure that you carry some form of identification with you at all times. If you are detained, you should ask the authorities to contact the British High Commission. We strongly recommend that all British nationals who are resident and/or working in Sri Lanka, or visiting for over one month, should register with the British High Commission in Colombo. About 90,000 British nationals visit Sri Lanka each year (source: Sri Lanka tourism board). The main type of incident for which British nationals required consular assistance in Sri Lanka in 2006 was for replacing lost or stolen passports and ill health. We strongly recommend that you obtain comprehensive travel and medical insurance before travelling. You should check any exclusions, and that your policy covers you for all the activities you want to undertake. See the General (Insurance) section of this advice and Travel Insurance for more details. Colombo High Court said the Bribery Commission has failed to produce the vital documents related to the case against former senior Minister, Anurudhdha Ratwatte. General Ratwatte, a former senior leader of the ruling Sri Lanka Freedom Party (SLFP), was accused of illegally earning property over the value of Rs. 400 million during 1994 to 2002.The judiciary noted that the Bribery Commission that made the formal complaint on corruption charges failed to produce the vital certificate saying that the Commission rejects the respondent's statement on the alleged corruption. The judiciary has no jurisdiction, the judge noted, to continue the case as the Commission has not produced the said certificate. The National Child Protection Authority (NCPA) is to take steps to register school van drivers in order to curb child abuse. NCPA Chairman Jagath Wellawatte said according to their observations school vans are becoming hubs of child abuses and thus initiating this programme. Sri Lanka Police is seeking the help of the public to trace the details of the physically handicapped female suicide cadre who blew herself at the Social Services and Social Welfare Ministry on Wednesday morning. The 21 Sri Lankans held in custody in Iraq, for not possessing valid visa documents will be repatriated probably by early next week, the Sri Lankan Mission in Lebanon confirmed. Government compensates the families affected in Nugegoda blast. The Government has taken steps to compensate the families of the victims of the Wednesday’s Nugegoda bomb blast. Accordingly, the Government yesterday paid Rs. 100,000 as compensation to each family of the deceased in Wednesday's Nugegoda bomb blast and Rs. 50,000 to each injured person. MP presented the compensation, which was given under the first stage of the compensation scheme. Minister Bathiyutheen stated that the balance will be paid after obtaining a full report. The funds for the compensation were allocated by the Disaster Relief Services Ministry and Resettlement Ministry through the Rehabilitation Authority. Meanwhile, the death toll of the incident has increased to 20 with a civilian succumbing injury at the Colombo General Hospital. The police media spokesman Senior DIG Jayantha Wickramaratne stated that 2 suspects were arrested following the explosion in Nugegoda were released 28th November. The Government of Japan has provided agricultural machinery worth 330 million Japanese yen (approximately rs.330 million) to the Government of Sri Lanka for socio-economic development of the country under the scheme of “Grant Assistance for Under-Privileged farmers” also known as 2KR. The 2KR project was initiated in 1977 by the Japanese Government. So far, the Government of Japan has provided more than 47 billion yen to Sri Lanka under this scheme for the purchase of essential agricultural machinery, equipment and fertilizer. A senior Congress leader in Tamil Nadu and Former Union Minister S R Balasubramaniam today alleged that LTTE supremo Velupillai Prabakaran could be responsible for the recent killing of the outfit's political wing leader S P Tamilselvan in a Sri Lankan Air Force raid. Dr. R.A.D.B. 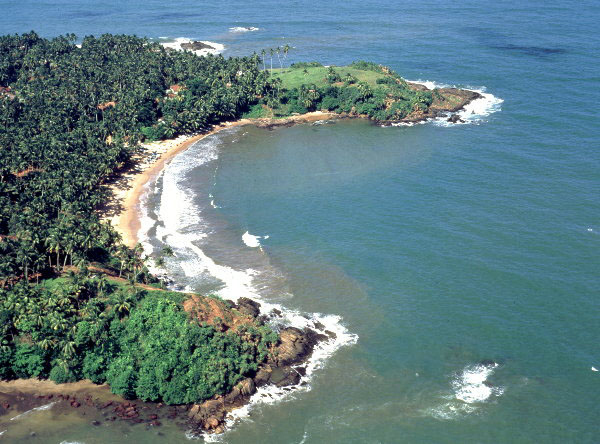 Samaranayake , Director of Coast Conservation Department said that legal authority has been taken to demolish all the unauthorized buildings , built in the coastal area. Now , already 200 unauthorized buildings have been identified and informed the owners of the buildings to demolish immediately. If the requests are not complied with , those buildings will be demolished by the government with the assistance of the Police of that region and the cost will be recovered from the owners. According to this , about 14 unauthorized buildings have been demolished in the Negombo coastal area last week. Those buildings were blocking the access to the beach for the fishermen and the hotel. 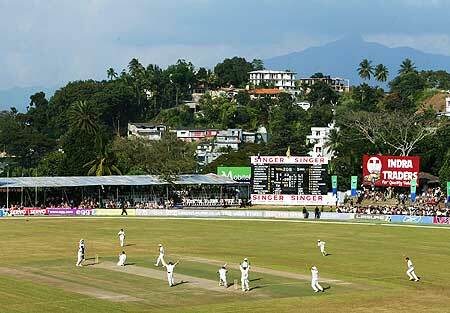 An additional police force of 400 has been deployed in the vicinity of Asgiriya international cricket grounds and the Kandy town to ensure security for the first test between Sri Lanka and England tomorrow. Extra security has also been given to the hotels where the players are staying according to police sources. The Water Board ruled out the spreading reports of water poisoning as "rumours".This statement came after a rumour that spread claiming that the Colombo city water supply had been poisoned. A senior official of the Water board said that they had checked the supply in the city and found that it was safe. 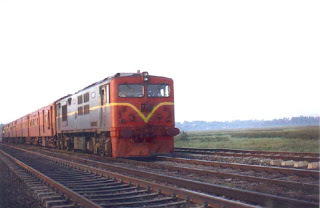 The Colombo - Vavuniya Train service (Yal Devi), has been curtailed due to security reasons with effect from this morning. On the instructions of the Defence Ministry the Train services will now operate only upto the Medawachchiya Station. Police conducted a search operation inside the Liberty Plaza shopping complex in Colpetty, following a bomb scare, but police sources confirmed that the complex was safe. Sri Lanka has received US $15 billion as aid from Iran for development schemes including the modernisation of the Oil Refinery and several irrigation schemes including the Uma Oya scheme. President Mahinda Rajapaksa’s visit to Iran from November 26 to 28 opened a new chapter in the centuries old friendship and relations between the two countries, sources said. The President’s official tour of Iran has been highly successful and rewarding, a joint statement issued by the two countries following the conclusion of the President’s tour on November 27 said. Meanwhile, private sector business co-operation between Sri Lanka and Iran will be further enhanced with the signing of two Memoranda of Understanding with the Iran Chamber of Commerce, Industry and Mines by the Federation of Chambers of Commerce and Industry of Sri Lanka and the National Chamber of Commerce of Sri Lanka. A joint statement between Sri Lanka and the Islamic Republic of Iran yesterday said President Mahinda Rajapaksa accompanied by a high-ranking political-economic delegation paid an official visit to the Islamic Republic of Iran from November 26 to 28 on the invitation of Iranian President Mahmoud Ahmadi Nejad. President of Sri Lanka Mahinda Rajapakse arrived in Tehran Monday night heading a high-ranking political- economic delegation.The Lankan president was welcomed at Mehrabad International Airport by Commerce Minister Massoud Mir-Kazemi. An official welcoming ceremony will be held for President Rajapakse by his Iranian counterpart Mahmoud Ahmadinejad within coming hours.During his stay here, the Lankan president will discuss key bilateral, regional and international issues with senior Iranian officials. According to Foreign Ministry Media Department report on Monday, in the meeting, Mottaki presented a report on the latest situation of Iran's peaceful nuclear program, active cooperation with International Atomic Energy Agency( IAEA) and (IAEA Chief) ElBaradei's report to the IAEA Governing Council. Referring to the level of bilateral ties, Mottaki said, "Iran is interested to expand ties with Sri Lanka in all fields and the visit is a new chapter in mutual relations." The foreign minister added, "President Ahmadinejad has already ordered the implementation of the signed agreements between the two countries." Mottaki expressed Iran's readiness to cooperate in constructing power plants, refineries, irrigation projects and exporting engineering and technical services to Sri Lanka. Sri Lankan President Mahinda Rajapakse briefed Mottaki on the situation of Sri Lankan Muslims and said, "Muslims in Sri Lanka enjoy a good situation, and have an active role in the country's politico-social life." He also called for the implementation of a number of agreements previously signed between the two countries. Condemning the LTTE’s brutal attack targeting EPDP Leader Douglas Devananda using a disabled woman suicide cadre, Leader of the Tamil United Liberation Front, V. Anandasangaree said that this incident stands to prove that Tigers never change their spots. Eelam People's Democratic Party leader Devananda survived the attack which killed his Coordinating Secretary who was at his Narahenpita office when the woman clad in suicide kit detonated it inside the structure. Mr. Sangaree said that it was typical of the LTTE to kill and dominate, and they do this on purpose to live by the gun to ensure that Tamil people do not raise their heads against them. "They do not know any other way and apply this principle to rule every one," he explained. He categorically stated that Tamil media must stop glorifying the LTTE and their terrorist acts at once. Sangaree charged that some Tamil media are speaking for the LTTE and they seem to enjoy a kind of media freedom which no other media in the country do not. "I do not know why some media are saying that the Government is suppressing media freedom when they can see the kind of freedom the Tamil media in the country are enjoying," he said. Three LTTE bunkers were destroyed killing at least 07 terrorists when troops responded at an LTTE offensive preparation ahead of the northern defences in Muhamalai and Killali, this morning (November 29). SLA engaged heavy gunfire neutralizing an LTTE offensive bid at Muhamalai around 1.10a.m, destroying an LTTE bunker killing three terrorists' security sources said. During subsequent search operations conducted troops have recovered a T-56 assault riffle, 01x magazine and 18, T-56 ammunition, the sources added. Meanwhile, at 5.30a.m in Killali troops destroyed two LTTE bunkers killing 04 terrorists, military sources said. According to the sources, troops have recovered a T-56 assault riffle, 01 magazine, 07 hand grenades and 04 anti-personnel (AP) mines. Condem ning the cowardly attacks in Narahenpita and Nugegoda which claimed over 20 lives, Defence Spokesman Keheliya Rambukwella said that yesterday’s explosions perpetrated by the LTTE was a clear indication that LTTE terrorism has reached its last stage. “The two bomb incidents signify a plea by the terrorists in the face of their splintering image before the international community and the Tamil public at large,” said Rambukwella. “This is the last length of the marathon to eradicate the LTTE and they are trying to do their last bid as a terrorist organisation, “he said. “We can’t forget what they have done in the past to kill innocent civilians. We have had this for the last 30 years,” he said. Mr. Rambukwella said that the public vigilance is vital to prevent such attacks and mentioned that these brutal terror attacks of the LTTE merely reveal the terrorists last bid in the last lap. LTTE terrorists carried out a cowardly bomb attack targeting innocent civilians in the densely populated Nugegoda town around 5.50p.m, this evening (November 28). The explosion took place in front of the 'NOLIMIT' building complex on S.De.S Jayasinghe Mawatha, at Nugegoda junction. According to available information, the bomb was inside an unattended parcel which was found at the counter of the shopping complex. Several civilians have suffered serious injuries and admitted to Kalubowila hospital and National Hospital Colombo. According to the Kalubowila hospital sources, 17 people, 8 females and 9 males have been killed and 39 injured in the explosion. Three children were also among the seriously wounded, hospital sources added. Three victims including one school girl in critical condition have been transferred to National Hospital Colombo. Director National Hospital, Dr. Hector Weerasinghe speaking to defence.lk said, the school girl later succumbed to injuries, while undergoing intensive medical treatment. Also, few of the vehicles have been caught fire following the explosion. Army, Police and fire brigade have reached the location and are now engaged in clearing operations. Police requests commuters to take alternate route to avoid Nugegoda junction since there is a huge traffic jam in the area. Earlier, this morning LTTE terrorists have carried out a suicide blast inside the Social Service and Social Welfare Ministry in Narahenpita. LTTE is a ruthless terrorist outfit fighting for a mono ethnic, separate homeland for Tamils living in Sri Lanka since 1983. Its 25 years of terror campaign has caused over 65, 000 lives of Sri Lankan citizens. It has been a custom of the LTTE to celebrate the birthday of its psychopathic leader by killing maximum number of civilians.